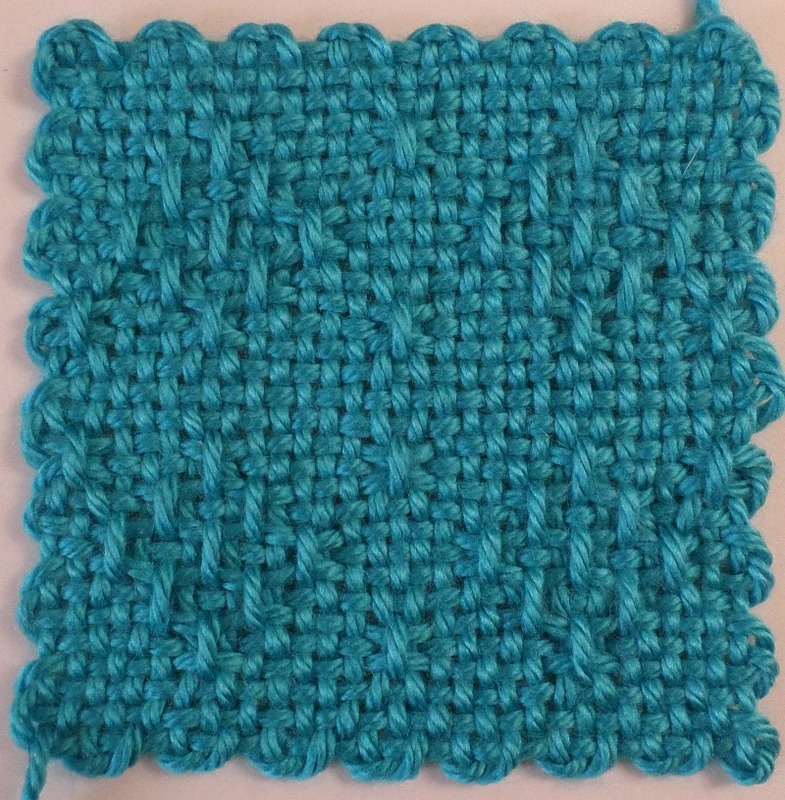 This is a tutorial on how to begin a square without tying a knot, how to read a chart and follow a pattern, and how to make BEAUTIFUL squares with even warp and weft distribution. 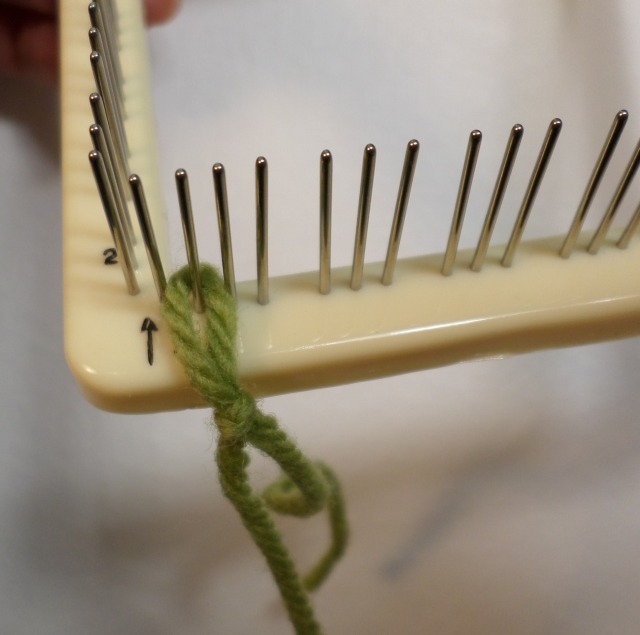 Tie a reverse slip knot and attach it to one of the four pins near Cr1; begin warping as usual. I mean, who doesn’t love a fluffy white sheep? Hey, wonder how he’d look with black wool? 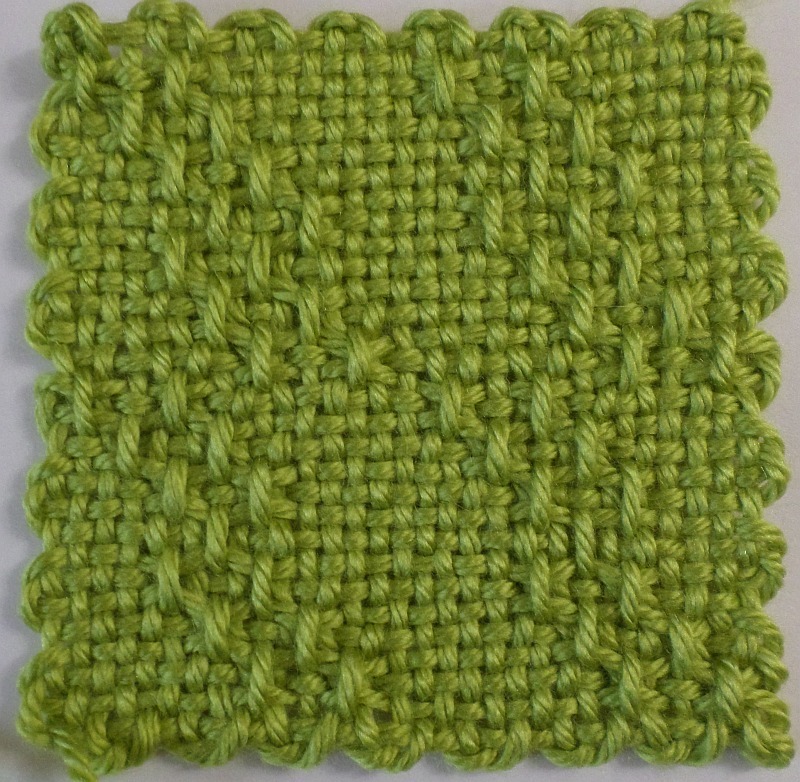 The name of this pattern is a bit of a mouthful, so feel free to abbreviate—HBBX. It’s derived from a combination of Banded Heart and Diamond Bar X; hence the name. 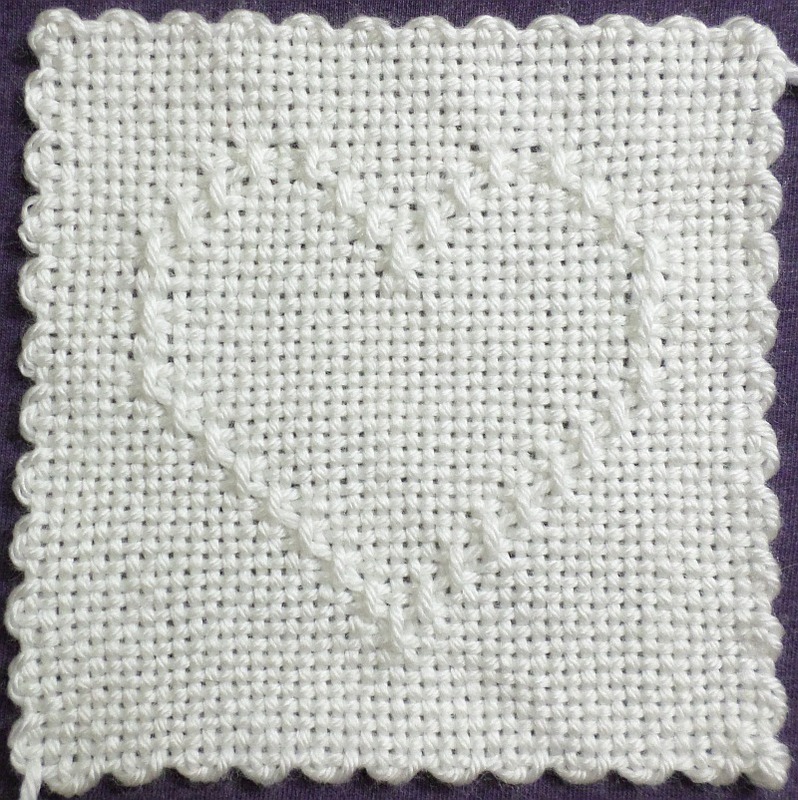 One of the nice things about this pattern is that the heart is slightly taller than Banded Heart (by one row), so it’s centered on the square. 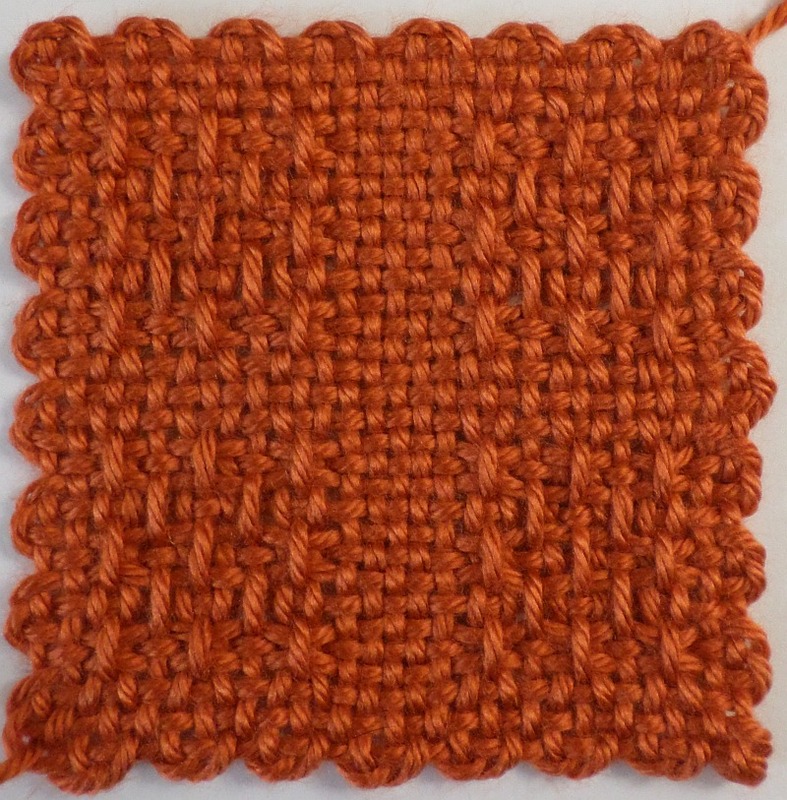 I needed some color swatches for my current project, so I used this pattern and its variations for my samples (which is why I wove all the variations instead of posting, “Four more I haven’t tried yet.”). 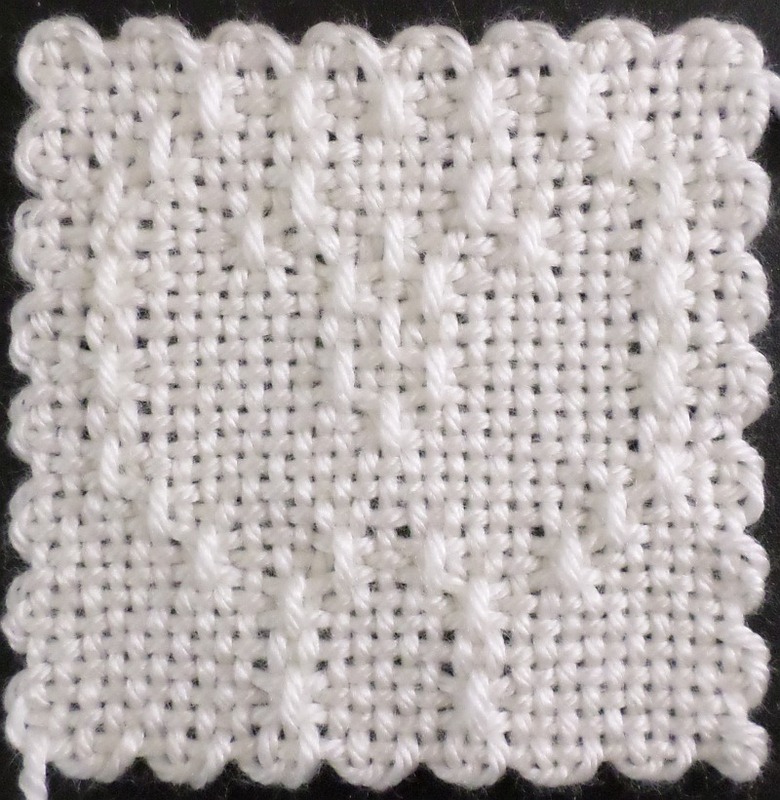 While weaving the second square (Variation 1), I discovered a mistake in the design, so the first sample has it and the second two, as well as the diagrams, don’t. After looking at this more closely I see I left out the two center U3s of R8—another mistake! 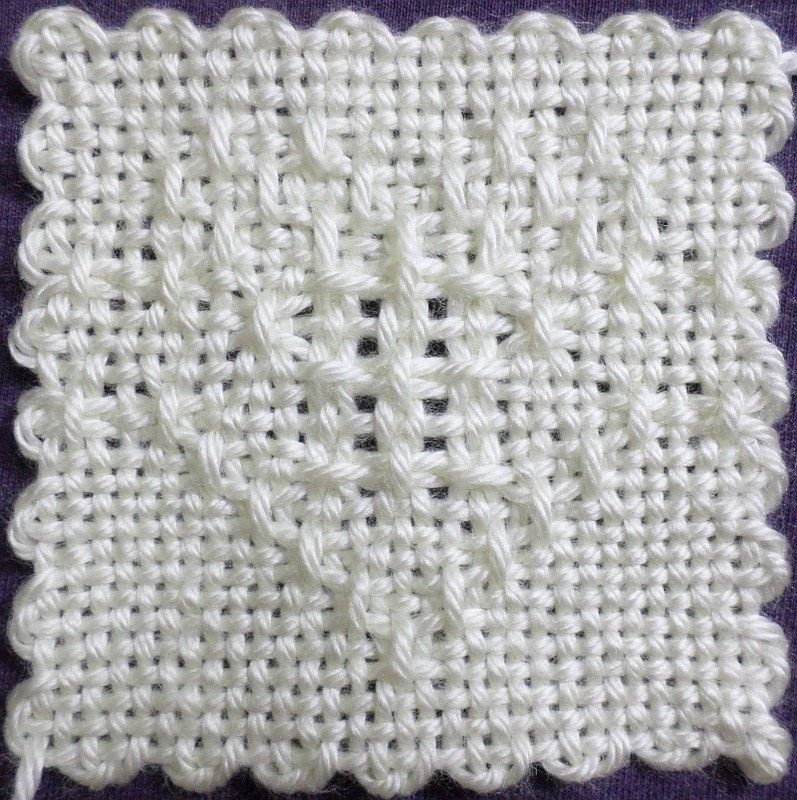 This square might look better had I put them in. So named because of the diamond shapes that showed up between the woven diamonds. This chart is in the Diagrams section, but I think it deserves its own post as well. I left lots of room in the individual blocks for notes or other marks.